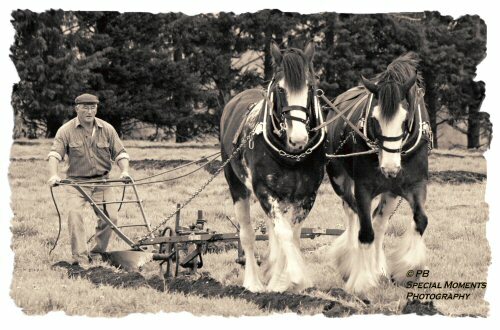 OK I realise that ploughing really isn't driving in the real sense of the word but the men were driving their horses in a way. 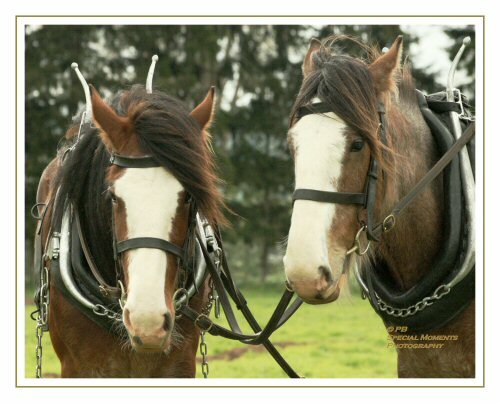 Dave and I went to watch the local ploughing contest and found there were two pairs of heavy horses out in the field. When I get the chance will post some more. 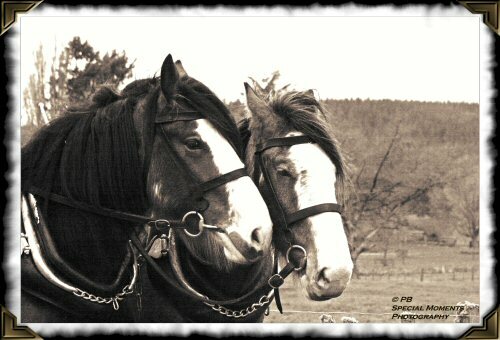 Decided to change a couple of the photos to sepia to bring back the nostalgia and old worlde charm that these gentle giants bring. Awsome pics Trish I like the borders too! Where did you get those from, was it ps or psp? The Sepia works well too, gives em the oldie feel! Well done, you seem to have had a great time wish I'd been there too!